showing approximate routes taken. 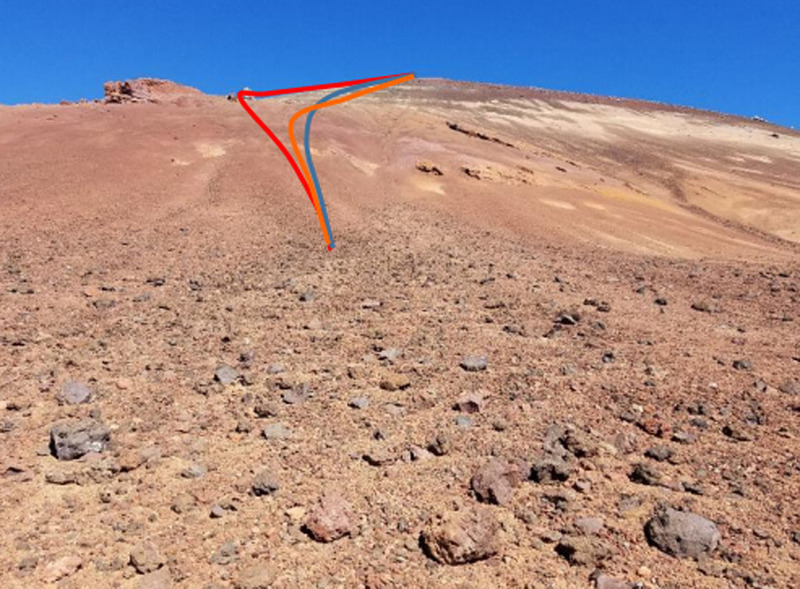 PC: University of Hawai’i, Feb. 2019 report. 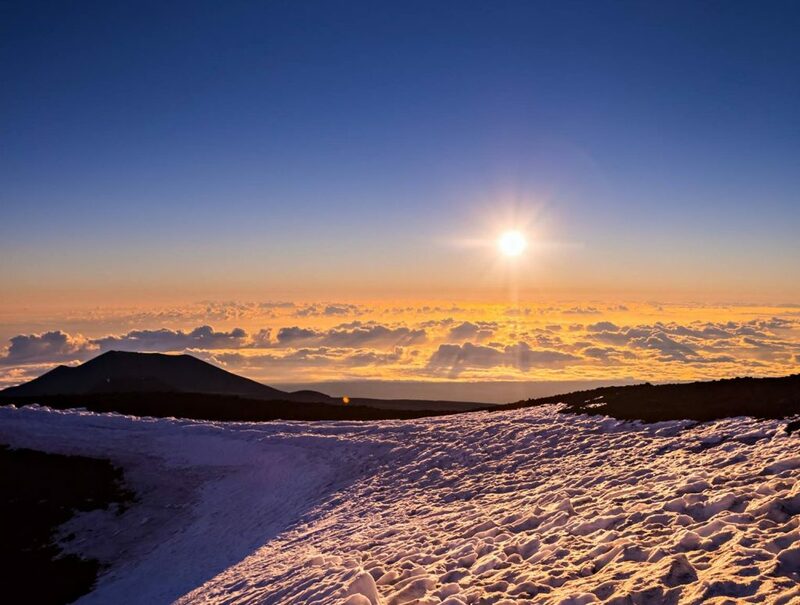 An investigation into three individuals using skis and snowboards to travel down the snow-free summit area of Maunakea found that there was no damage to cultural, archaeological, natural or scientific resources, according to the University of Hawaiʻi. 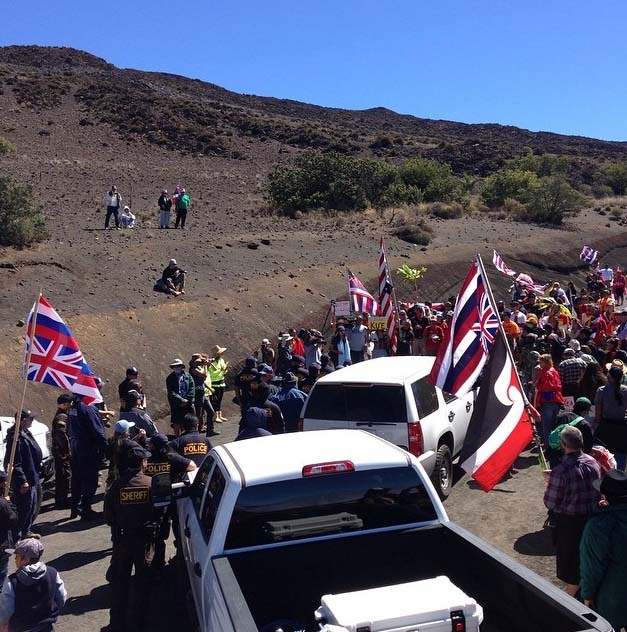 However, the report cited that the incident highlighted the need for administrative rules for public and commercial activities on University of Hawaiʻi managed lands on Maunakea, which the university is currently pursuing. The incident was first reported on Feb. 5, 2019, and drew widespread condemnation and an eventual apology from those involved. 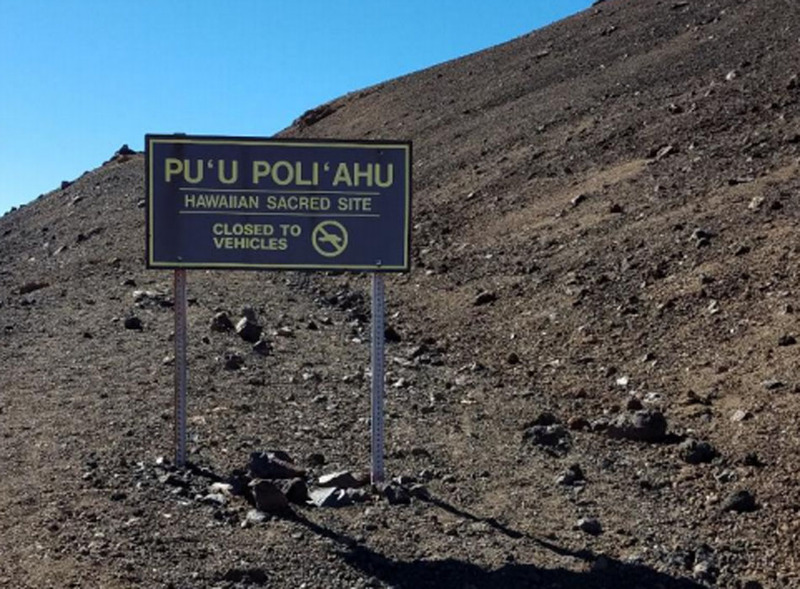 The investigation by the UH Hilo Office of Maunakea Management was completed on February 13 and included a retracing of the most-likely route used on the snow-free cinder of Puʻupoliʻahu, from where the three individuals exited their vehicle; walked past the sign indicating Puʻupoliʻahu, a Hawaiian sacred site; hiked to the top and made their way downslope to a point where they hiked out to their vehicle. According to the February 2019 report, there was no legal recourse to penalize the individuals because no laws were broken. UH is in the process of developing administrative rules, an essential resource management tool that would address these types of situations. UH is currently seeking public comment on the latest draft. The proposed draft: Skiing and/or snowboarding in the same area as the incident, or when it is snow-free anywhere on the summit, would not be allowed under the current draft of the rules. The administrative rules would allow the university to cite and fine offenders, in addition to imposing a monetary assessment to recover costs related to damage that results from a violation. Sign at Puʻupoliʻahu trailhead. 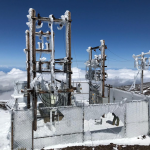 PC: UH February 2019 report. The current request for public input is part of an informal consultation process that includes meetings with various stakeholder groups. The latest draft will be updated based on the feedback received ahead of a second round of formal public hearings, tentatively scheduled for spring. The public is asked to participate in the next round of public hearings, even if they submitted feedback during the informal process. To provide comments on the informal draft, please submit (1) via email at MKRules@hawaii.edu; or (2) in writing to the UH Government Relations Office, 2442 Campus Road, Administrative Services Building 1-101, Honolulu, HI, 96822. The deadline for informal comments is Friday, March 15, 2019, at 4:30 p.m.